How many times have you had the best ride of your life and wish that you had video footage to show off to your friends? Have you ever recorded a two-hour trek only to find that the angle was off or the shots were too blurry? Mountain biking and video recording don’t always mix well, but thanks to action cameras it’s a little easier. Whether you’re buying your first action cam or are looking for an upgrade, the Sony FDR may be the perfect option for you. We’ll discuss some of the basics of action cams and what to consider when looking for the right camera. We will also take an in-depth look at the Sony FDR-X3000, so you can decide if it’s a “must have” tech accessory for your next mountain biking excursion. Not quite sure what an action cam is or what it does? 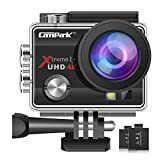 An action camera is often referred to as a Point Of View (POV) cam and is specifically designed to record video (and sometimes photos) during an activity such as biking and snowboarding. Action cams may be mounted to virtually anything (with the right mounting materials), but they are often secured to a helmet, the handlebars of a bike, or on the body of a cyclist. Even though POV cams a favorite tech gadget among extreme sports enthusiasts, they are also an essential tool for professions like law enforcement. Although action cameras have been used for decades, particularly in the film industry, today’s cameras are just a fraction of the size and weight of earlier cameras. A compact option makes it not only easier to take on adventures, but it’s also more affordable. 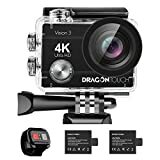 Most of today’s action cameras come in one or two pieces and are designed to withstand the shock of riding on rocky terrain and the occasional run-in in with inclement weather. Some cameras have Wi-Fi and Bluetooth capabilities to make uploading photos and video footage easier, while others use a USB cable to upload media to a computer. Once you use an action camera you’re likely to fall in love with it and want to take it on your bike rides all the time, but maybe you’re trying to justify buying one. If you’re a frequent solo rider, you probably experience a lot of things that you wish you could share with others. Having the option to share photos or video footage of a challenging trail or even the sun setting is a great way to share your passion with others. Have you been thinking of starting a mountain biking blog or want to share some cool footage with a biking forum? An action camera is an excellent device to make this happen. Most people, who have considered buying an action cam, have tried to use their smartphone as a video recorder. Not only is the footage blurry, but it can make you and your viewers nauseous due to the lack of stabilization. 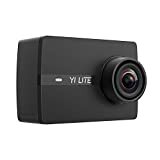 Action cameras are designed to take high-quality video and pictures; if you buy the right camera, that’s precisely what you’ll get. As a bicyclist, you know that there’s always the risk of being involved in an accident, whether it’s with a motorist or getting injured on a trail ride. Many cyclists use action cams to film their rides as essential footage, in case of an accident. While most action cameras have a durable design, you’ll want to make sure it’s built to last and suitable for your riding needs. Even if you don’t plan on taking your camera into the water, you definitely want to make sure that it’s at least water resistant to ensure proper function if it happens to get wet. If your passions expand past mountain biking, the action cam you choose should be something you can use every day (if you want). Many cameras are versatile, but some are more than others. 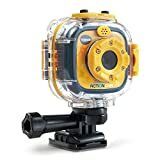 An action camera should be easy to use. Whether you’re uploading video footage or getting the camera set up before you go riding, you shouldn’t have to spend a lot of extra time trying to figure out how the camera works. 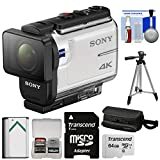 Now that we’ve given you some things to think about when looking for an action camera, we’re going to discuss the in-depth details of the Sony FDR, which is also known as the Sony action cam 4K. 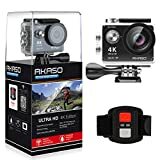 One of the reasons that the Sony action camera is an excellent choice for mountain biking enthusiasts is that it meets all the requirements that we look for in an action camera; it’s durable, versatile, and easy to use. Let’s take a closer look at the Sony FDR camera. If you look around your house or even in your car, you probably have at least one Sony device. 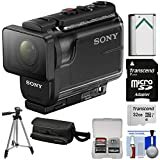 Sony is a well-respected company with decades of experience and has a long history of making high-quality products; this is a plus if you’re considering the Sony action cam. The Sony FDR is priced at around $399; you can buy the same camera with some add-ons for less than $200 more (we will discuss a few of these options in a bit). This compact action cam is 1.2 x 1.9 x 3.3 inches and weighs a little over 4 ounces. It also runs on one Lithium-ion battery, which is included with the camera. The battery lasts a little over two hours when using 1080p and approximately one hour for 4K resolution. The camera is water-resistant or “splash-proof,” but when you add the waterproof case, you can use the camera in up to 197 feet of water. 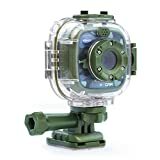 While this action cam is the perfect accessory for any water sport, it is also freezeproof, so you can use it on the coldest of days and never have to worry about it working slowly (or not at all). Thanks to the durable case, it’s also dustproof and shockproof, so you don’t have to worry about the weather or the dirt on the trails affecting the quality of your video footage. As we mentioned earlier, this Sony camera image stabilization that surpasses similar action cams. The Balanced Optical SteadyShot image stabilization reduces the shakiness in your video footage. The ZEISS lens (with narrow, medium, or wide angles) and Exmor R CMOS sensor work together to create clear images and easy-to-watch footage on the rockiest of terrains. 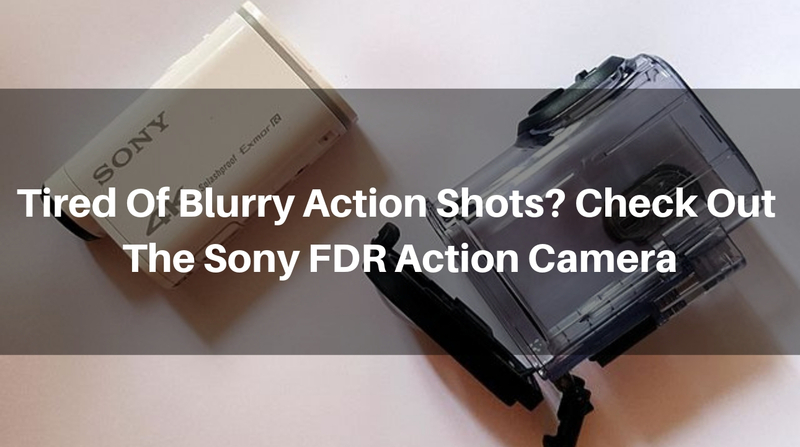 High-quality quick action shots are possible because of the burst mode settings on the FDR-X3000. Whether you’re shooting in 4K or full HD, the resolution is high, and the colors don’t become altered. A built-in microphone with wind noise reduction keeps all sound you want crisp and clear and the rest of the noise out. With Wi-Fi, Bluetooth, GPS, HDMI, USB, and a mic jack, your photos and video footage is easy to upload and to edit whenever you want. As we mentioned earlier, additional accessories for the Sony FDR are available for about $200 more than the standard price. The FDR-X3000 kit includes the camera, a live view remote, a shooting grip, and lens cleaning brush, 64GB memory card, an extra battery, a helmet and car kit, HDMI cable, cleaning kit, and image recovery software. While this may be more “extras” than you’re interested in, you will definitely want to make sure that you have a spare memory card and battery on hand when you ride as it will help lengthen your filming time. 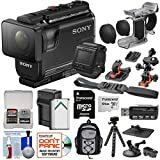 This Sony camera has a simple and compact design with easy-to-use features and capabilities that make it a better action camera for mountain bikers than other similar cameras. Next: Which Swagman Bike Rack Do You Need?